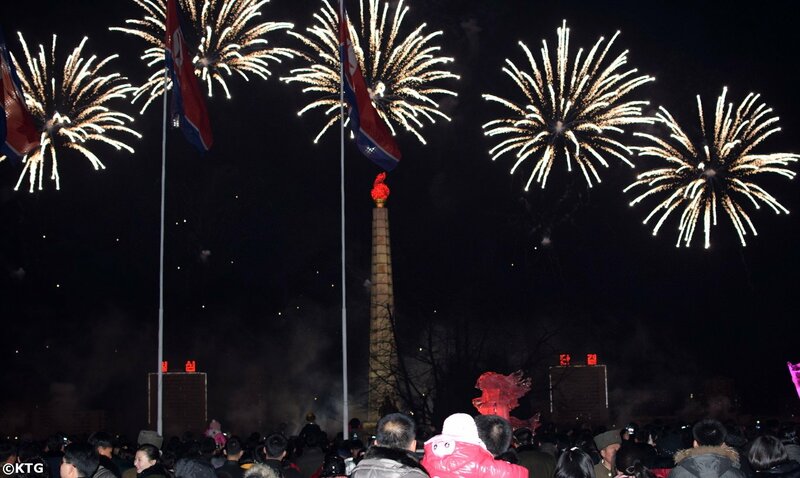 The application deadline for our DPRK New Year Tour is 2 December 2018. 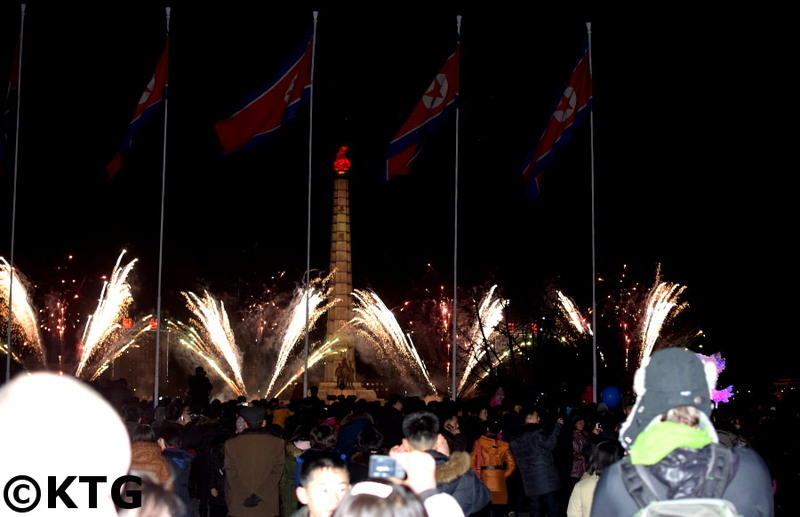 What more original way is there to start 2018 than by doing so in Pyongyang? You will be able to stay in one of the capital's best hotels, the Koryo Hotel, considered Deluxe in the DPRK and located right by the train station in the city centre. 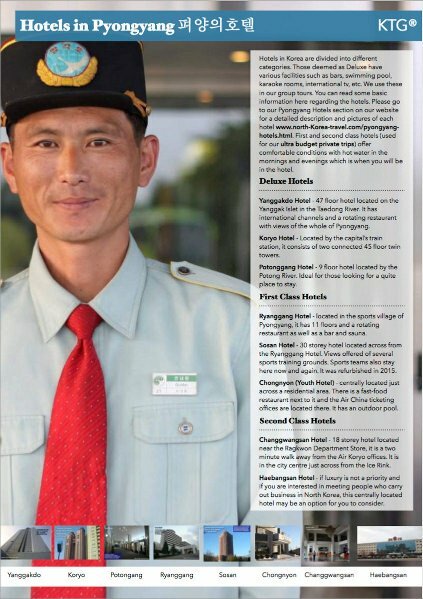 The budget hotels such as the Sosan (despite having been refurbished) and Ryanggang Hotels, tend to be quite chilly in winter and hot water may not be available at all times during the winter time. 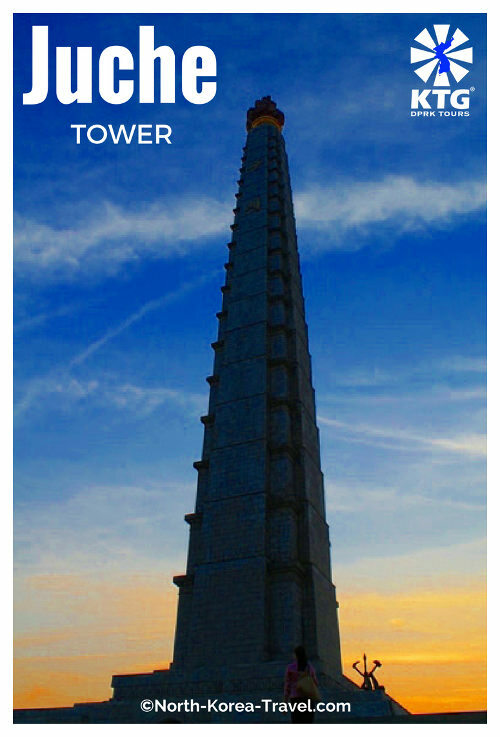 You will visit 3 different regions of the DPRK on this trip; Pyongyang, Kaesong & the DMZ and Sariwon city. If interested in extending your tour (such as taking a skiing extension) please send us an e-mail stating how long you would like to extend for and if there are any specific places you would like to visit. 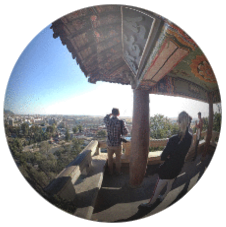 Kumsusan Memorial Palace - where the leaders Kim Il Sung and Kim Jong Il lie in state, one of the most sacred places in the DPRK. Formal attire required. We will brief you regarding this. 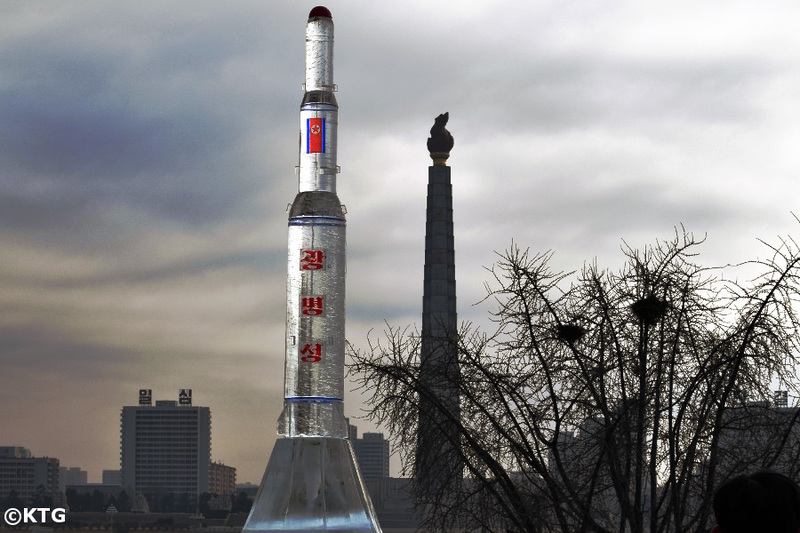 DPRK Ice Rocket Sculpture in Kim Il Sung Square. 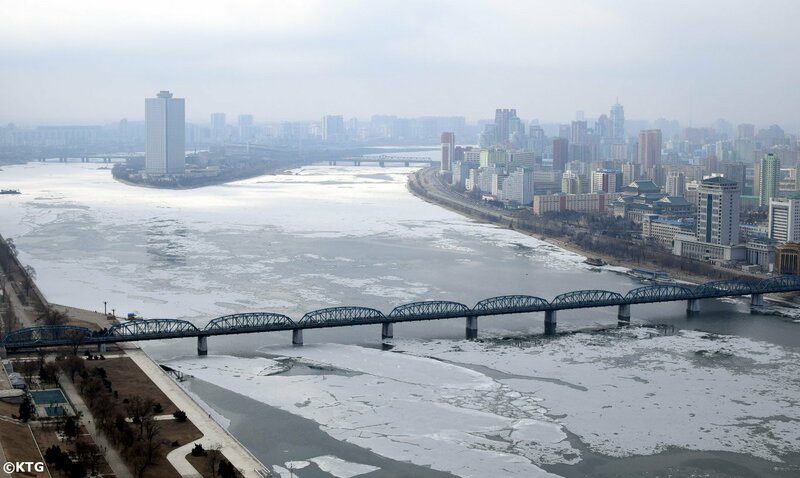 The Juche Tower can be seen in the background across the Taedong River. 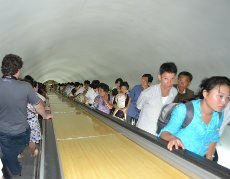 Pyongyang Metro - we will take an extended ride with locals. This is one of the deepest subway systems in the world and the stops are beautifully decorated. Kwangbok Supermarket - one of the biggest supermarkets in North Korea. 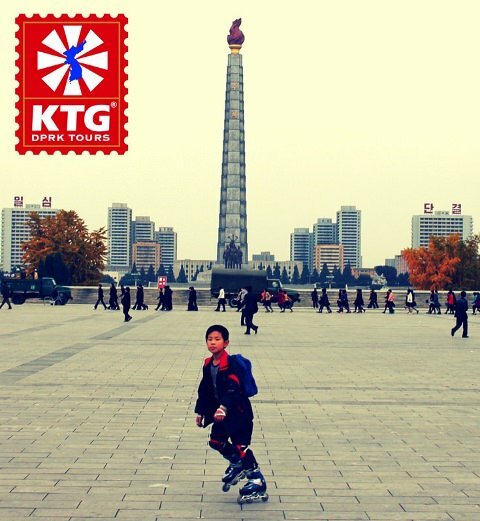 This is the only place in Pyongyang where you can purchase local currency to purchase goods. The supermarket has an array of DPRK produced goods and is full of locals. 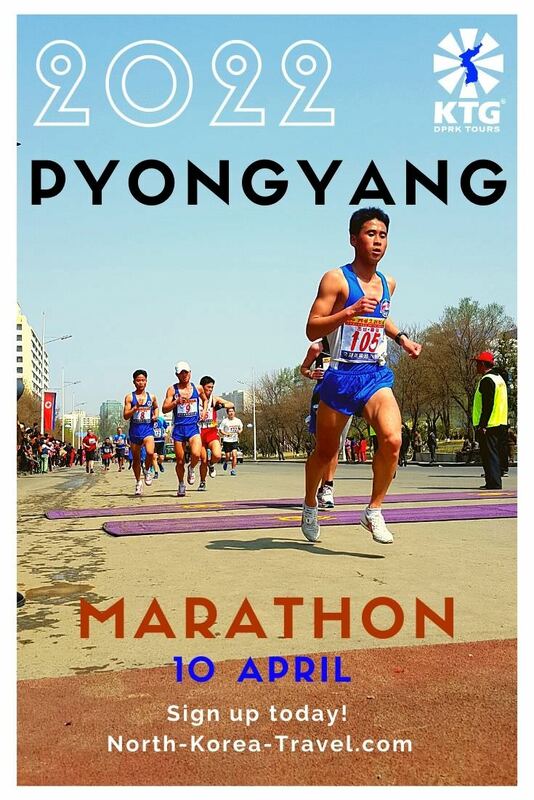 Great chance to see an aspect of ordinary daily life in Pyongyang. It was only recently that tourists have been allowed to come here. Victorious Fatherland Liberation Museum enormous museum holding original vehicles used in the Korean War and explaining the DPRK version of the war. This was restored recently. 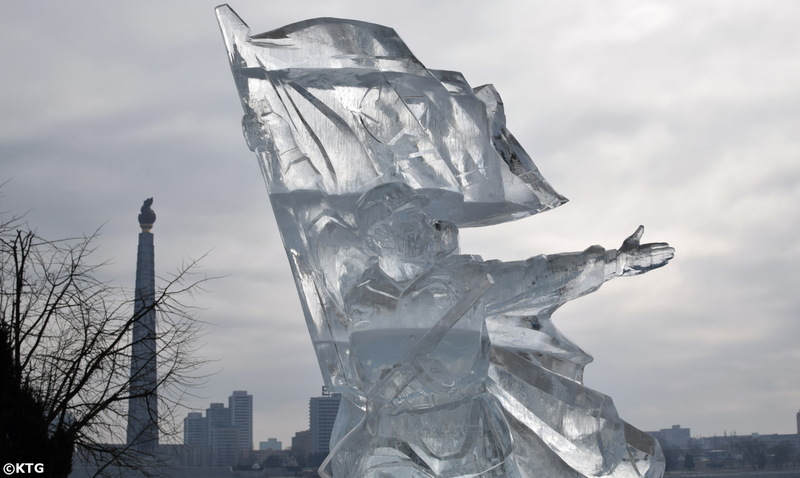 The theme of the Korean War is very important in DPRK. DPRK Art Studio - see where different forms of DPRK art is produced. This is the place too where giant bronze statues are produced. DPRK Film Studios - this is where movies are produced in North Korea. 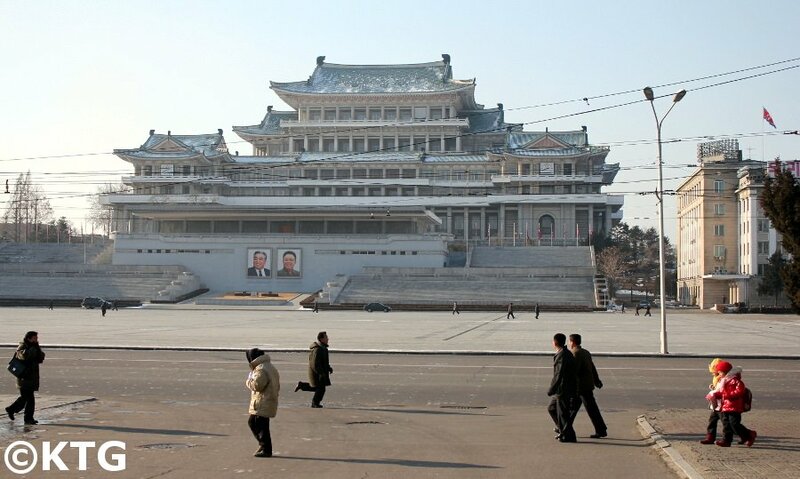 You can see the sets, houses and different streets used for the production of DPRK movies. 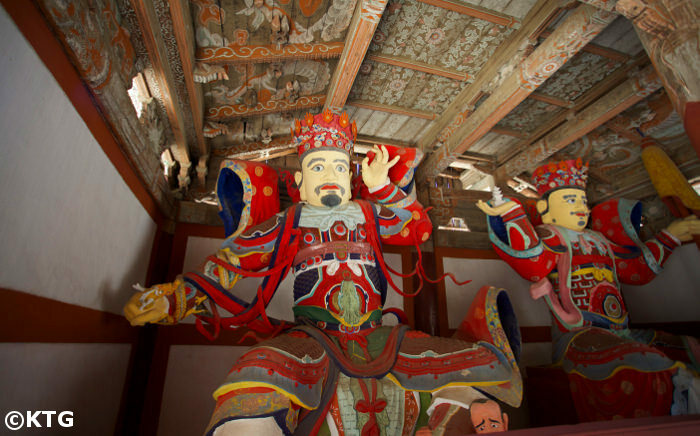 Depart to Kaesong (Panmunjom, the DMZ) - this city was not destroyed during the Korean War and we can therefore see some traditional Korean architecture. 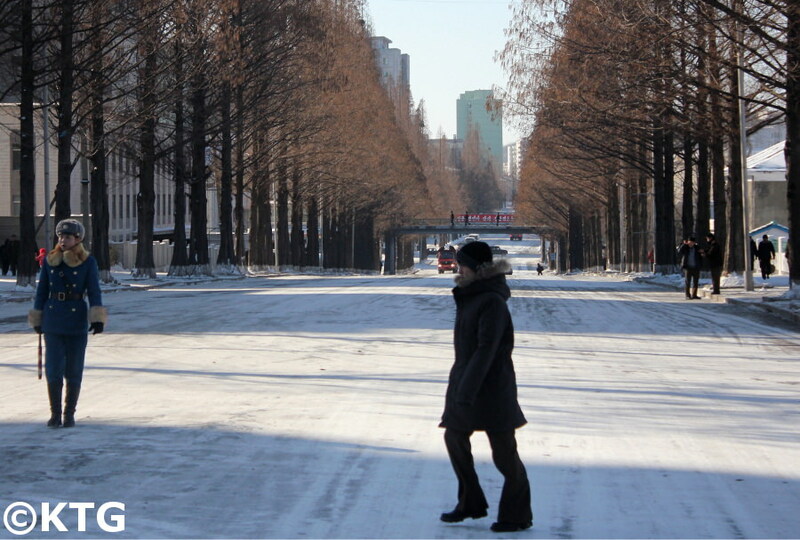 We will then visit the DMZ, the last area where the consequences of the Cold War are still very alive. Lunch at Tongil Restaurant (Kaesong) - dishes are served in small covered golden plated bowls, with no less than 12 small dishes per person. The number of dishes served symbolised the rank of the person eating and 12 is the highest ranking of all! Stamp shop - just outside of the Koryo Hotel, we usually make a quick stop here. A wide variety of stamps, postcards, artwork, etc can be purchased. Golden Lane Bowling Alley - chance to see locals enjoy a day off and of course for you to check your bowling skills! 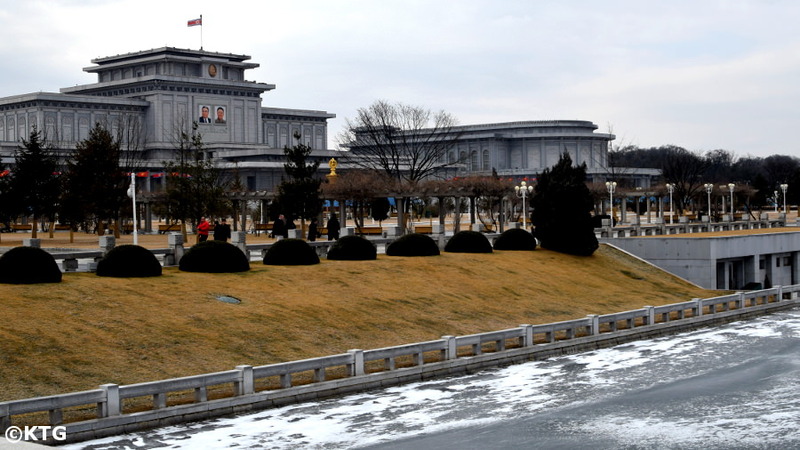 International Friendship Exhibition Centre - two buildings partly located within a mountain and showing hundreds of thousands of gifts given to the leader Kim Il Sung, Kim Jong Il. 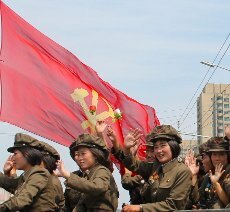 There is too a section for gifts presented to DPRK Heroine Kim Jong Suk also referred to as Mother Kim Jong Suk in North Korea as she was the mother of Kim Jong Il. The current leader Marshall Kim Jong Un also has a section with gifts presented to him. Many of the gifts here truly impressive. We will not spoil any surprises and will let you find out for yourself what there is! Meari shooting range - chance to shoot some real DPRK guns, laser guns, bow and arrow or just have a look around. 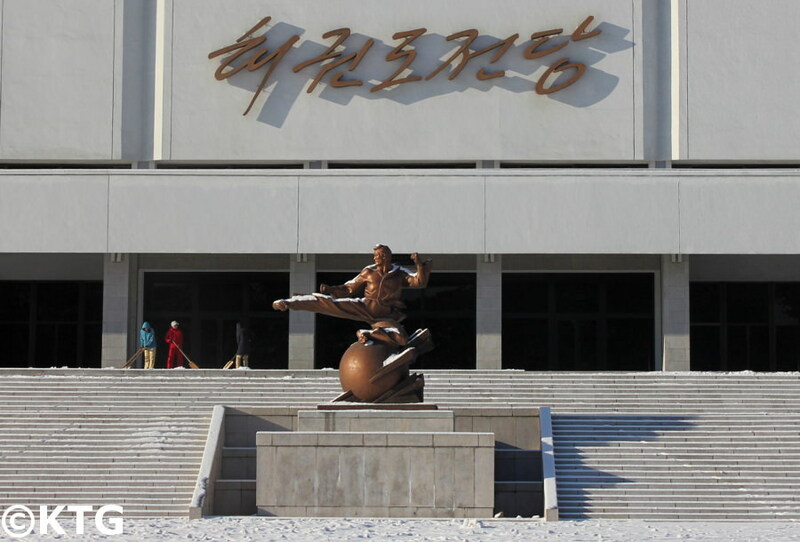 This place is located in the sports villa of Pyongyang; an area consisting of many indoor stadiums, each one of them focusing on one single sport. Local Health Complex - this building consists of a sauna, bar, pool table, restaurants, etc. Locals hang out here. It is a great chance to enjoy a game of pool or have a drink before dinner. 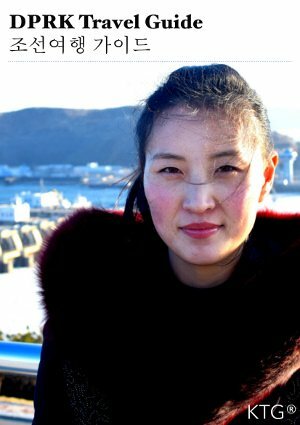 Please go to our North Korea tourism page to see more information on other tours that we offer other than our North New Year Tour II.